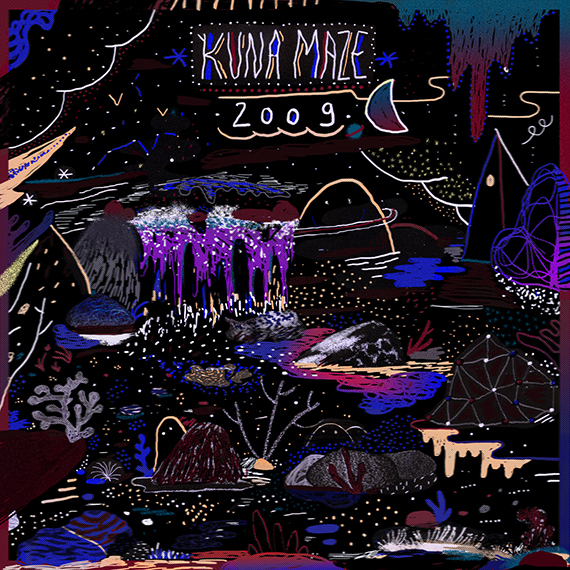 Kuna Maze is a young producer from Lyon France and now based in Brussel. Training trumpetist, his music oscillates between electronica, hip hop and jazz experimental to create hypnotic’s melodies and broken beat. Influenced by artists like Jay Dee, Flying Lotus, Shlomo, Herbie Handcock and the wider LA beat scene, he designs his music with a a skillful blend of swinging beats and stunning instrumentation, emotive tracks full of floating atmospheres and poignant melodies. After his latest projects (Tricky Part, Postpone and GUM), acclaimed over worldwide from famous artists as LeFto, Gilles Peterson, Chris P Cuts … and medias as Edm.com, Spotify, XLR8R, Mixmag, Tsugi, … he’s back with a hiphop, soulful Jazz-IDM new EP named « 2009 ». In my opinion, some of the most exciting things in the electronic music scene happened between 2005 and 2010: the rise of the L.A beat scene, the post dubstep scene in U.K, the footwork scene in Chicago… I can’t explain what it was but it seems that a lot of artists shared a common thing then, before going onto different paths. I was really inspired by the music that was made during those years, when i started producing. That’s why this album is called 2009.